9712 Indian Road, Gloucester, VA 23061 (#1839757) :: Abbitt Realty Co. 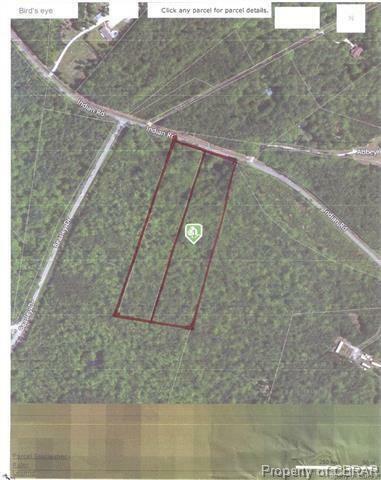 There are two 5 acres parcels with approximately 400' road frontage total on Rt. 605. Zoning is RC-1 which allows double wides. Could possibly have a double wide on each lot. Old soil work showed a puraflo site, may be able to update to a different engineered system. Parcels being sold together for a total of 10 Acres. Selling almost $40,000 under county assessment.